Raffaello Degruttola’s film industry satire Flim: The Movie is one of those cases of a ‘why didn’t I think of that? !’ concept. The film follows a faux-documentary format and centres on a documentary crew, led by Scott (Steven Waddington), as they film a documentary about Ravi Vasami (Degruttola), an Indian ‘flim’ director trying to make his first feature in Britain. If it sounds overly intertextual and ‘meta’, that’s because it is . . . and it’s exactly what Degruttola is aiming for. He uses the inherent convolutedness of the set-up to reflect the chaos of the film industry, and it’s a simple effect, but a good one. The film is made up of aesthetically accurate documentary-style footage, as Scott and his crew shadow Ravi across departmental meetings and creepily intimate casting sessions. But a project such as this often lives or dies on the shoulders of its actors, so it’s a relief that all the talent on show here (you’ll likely spot a familiar face or two, some playing themselves and others playing fictional creations) comfortably match up to the task at hand. Degruttola, himself, is the film’s real wild card, as he delivers a supremely confident turn as the absurdist Ravi. He delivers even his most outrageous lines in total deadpan and totally sells this crazy guy caught in the middle of an even crazier professional environment. Degruttola takes aim at both the British film industry and the American Hollywood lifestyle, which adds welcome variation to the satire. But the depth does come at the sacrifice of the 110-minute running time. I felt a slight sag as the film lost some momentum in the run up to the finale. Christopher Guest’s This is Spinal Tap, arguably the mockumentary to end all mockumentaries, comes in at a sleek 82 minutes and I feel that a sharper edit would have increased both the gag rate and the satirical potency of Flim. 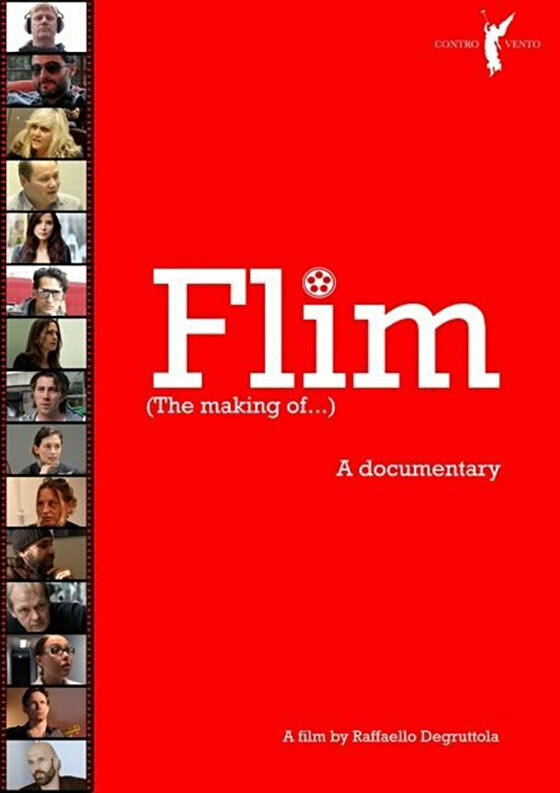 Flim: The Movie is a curious piece of work. I can’t say I’ve ever seen anything like it and that, in itself, is praise indeed. However, a slight trim would have turned Degruttolla’s film industry satire from the occasionally very funny film we’re given, into something truly hilarious. Think a more sophisticated, and focused, Borat. The film is available to buy/rent from Vimeo and iTunes. Screener provided by Raffaello Degruttola. Thank you!